Whether it is heritage or environment that affects a person's qualities and life choices, there are plenty of examples of children who walk in their parents' footsteps. One example is father-son artists José Lapayese Bruna and José Lapayese del Río. José Lapayese Bruna was born in 1899 in Calamocha, Spain, as the fourth son of Juan Ramón Lapayese and Teresa Bruna. José's career choice was simple - he came from a family of artists and painted from a young age. 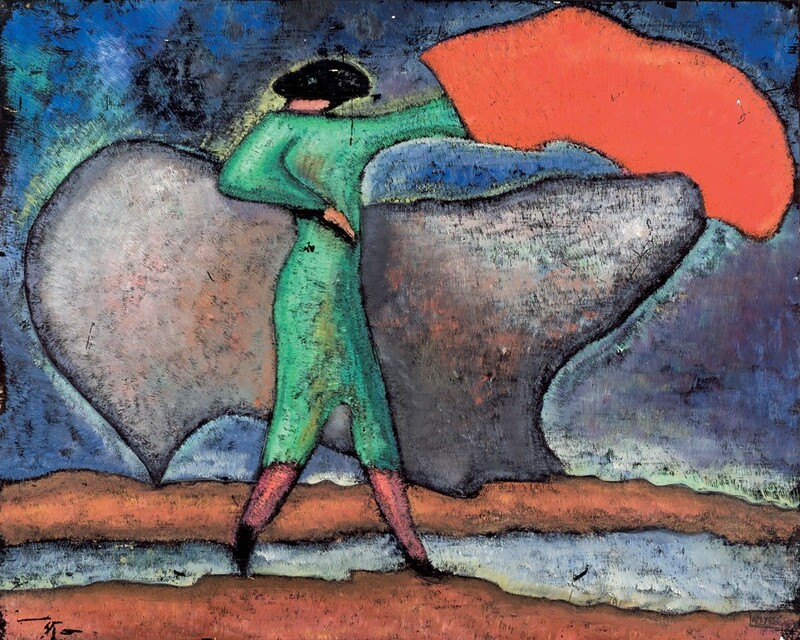 As a fourteen-year-old, Lapayese Bruna begins his artistic studies in Zaragoza, where he was quickly recognized for his artistic talent and in 1918, when Lapayese Bruna is only nineteen years old, his work is exhibited for the first time. 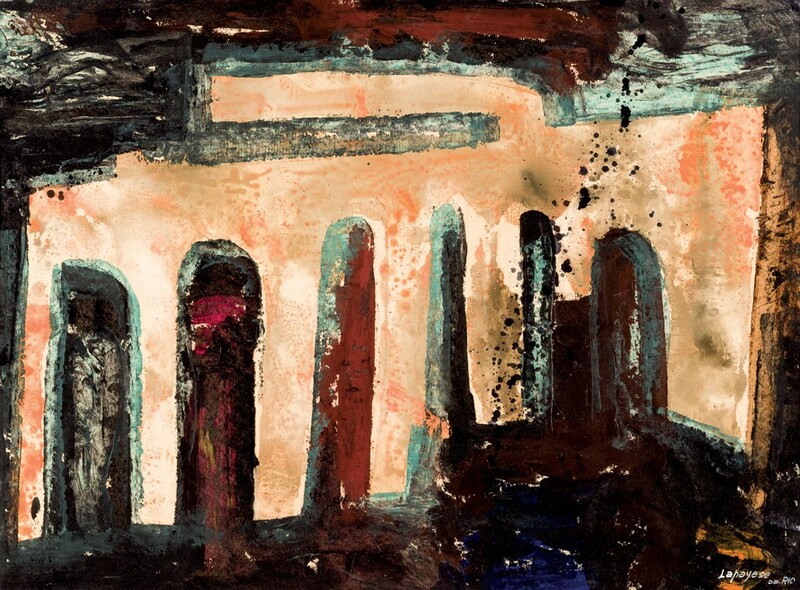 José Lapayese Bruna, "Abstracto," 1974. Photo: Duran Arte y Subastas. Eventually, the young artist moves to Madrid for further studies and is rewarded with several awards for his art. In Madrid, he also meets his future wife, and a year later their son, José Lapayese del Río, is born. José Lapayese Bruna, "Torero". Photo: Duran Arte y Subastas. In 1927, Lapayese Bruna, like so many other artists in the 20th century, moved to Paris to be inspired by the capital of European art. He and his family stayed there for the next three years, before moving back to Madrid in 1929. 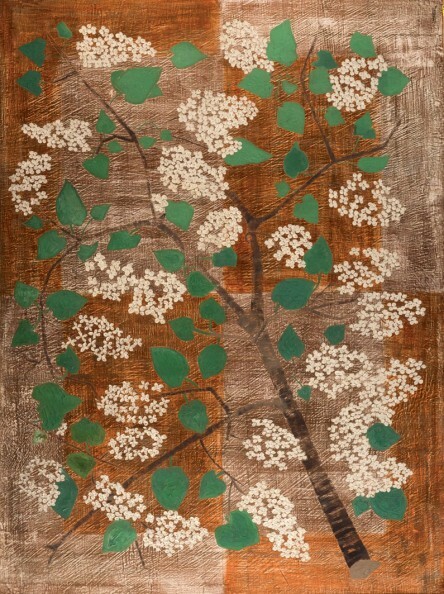 José Lapayese Bruna, "Lilas blancas". Photo: Duran Arte y Subastas. Back in the home country, the Spanish Civil War put a standstill to Lapayese Bruna's artwork and he is forced to take other jobs to be able to support his family. Lapayese Bruna works tirelessly and after the war he works harder in all kinds of techniques such as painting, sculpture and ceramics. 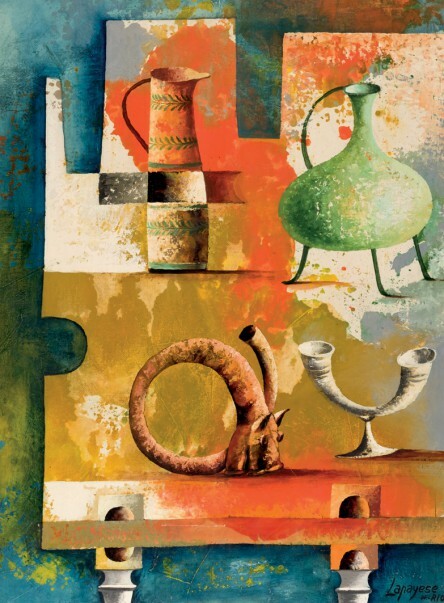 His son, José Lapayese del Río, began painting in his father's workshop as a child. He moved to Barcelona to study and received scholarships from both French and Spanish cultural institutions. The money enables study trips around Europe, with stops in Italy, France, the UK and the Netherlands. José Lapayese del Río, "El acueducto". Photo: Duran Arte y Subastas. 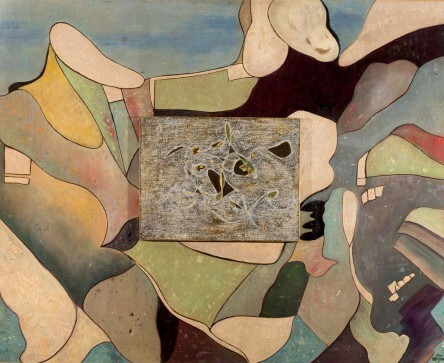 Initially, Lapayese del Río painted primarily figuratively, but after a trip to Paris in 1952 he adopted an increasingly abstract and formalistic style. In the 1950s and 60s, he participated in no less than three biennials and the rumor of Lapayese del Rio's talent spread at furious speed. During his active years, the artist was featured in more than 50 solo exhibitions in his native Spain, as well as in Munich, Los Angeles and New York. José Lapayese del Río, "Bodegón con cerámicas". Photo: Duran Arte y Subastas. José Lapayese Bruna died in 1982 in Madrid and 18 years later, in 2000, his son José Lapayese del Río also passed. Nevertheless, the artistic father and son duo continue to inspire and be admired. 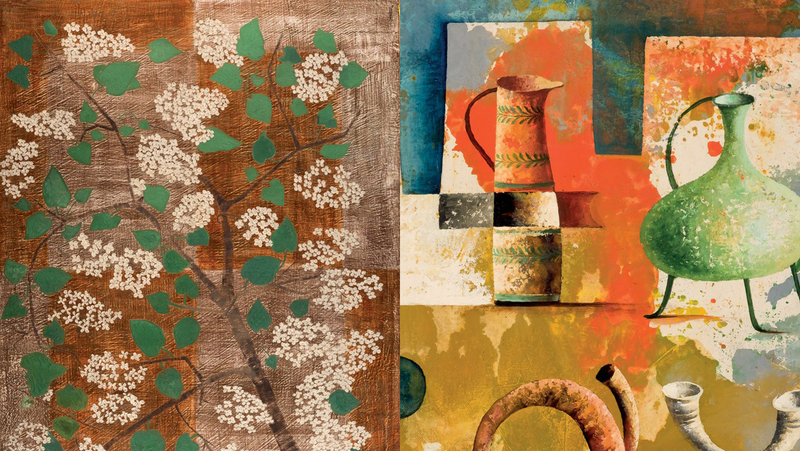 On February 28, the Spanish auction house Duran Arte y Subastas will be auctioning several works from the Lapayese Bruna and Lapayese del Río's rich oeuvre. Until the auction takes place, curious bidders can bid online.